Speculate 2019 is back with an all-star team of guests and speakers, here to supercharge your Speculate experience! Keeping checking back as new guests are announced. Alan Baxter writes supernatural thrillers and urban horror, rides a motorcycle and loves his dogs. He also teaches Kung Fu. He lives among dairy paddocks on the beautiful south coast of NSW, Australia. Read extracts from his novels, novellas, and find free short stories at his website – www.warriorscribe.com – or find him on Twitter @AlanBaxter and Facebook. Danielle Binks is a writer, reviewer, book blogger and Youth Literature Advocate. 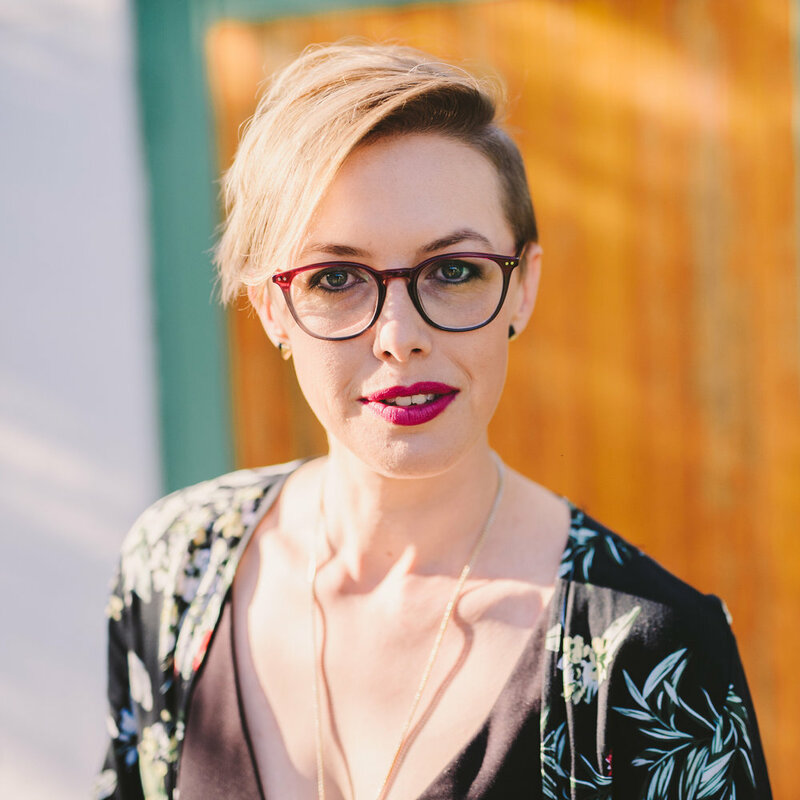 In 2016 she joined literary agency, Jacinta di Mase Management, as an agent – seeking Australian authors of Young Adult (YA) and Middle Grade (MG) fiction works. In 2017, she edited and contributed to Begin, End, Begin: A #LoveOzYA Anthology, of new Australian young adult writing – inspired by the #LoveOzYA movement – and released by HarperCollins. Danielle is a graduate of RMIT’s Professional Writing & Editing program, and holds a Bachelor of Communications from Monash University. Trudi Canavan lives in Melbourne, Australia. She has been making up stories about things that don't exist for as long as she can remember. Her first published story received an Aurealis Award for Best Fantasy Short Story in 1999. She has since published the bestselling Black Magician Trilogy, Age of the Five Trilogy, Traitor Spy Trilogy and Millennium’s Rule series, had books win awards and reach #1 on the UK Times Hardback bestseller list, and had written a Doctor Who novella. When not pounding the keyboard, she paints, weaves or dabbles in handcrafts. Claire G. Coleman is a writer from Western Australia. She identifies with the South Coast Noongar people. Her family are associated with the area around Ravensthorpe and Hopetoun. Claire grew up in a Forestry settlement in the middle of a tree plantation, where her dad worked, not far out of Perth. She wrote her black&write! fellowship-winning book Terra Nullius while travelling around Australia in a caravan. The Old Lie, publishing in September 2019, is her second novel. 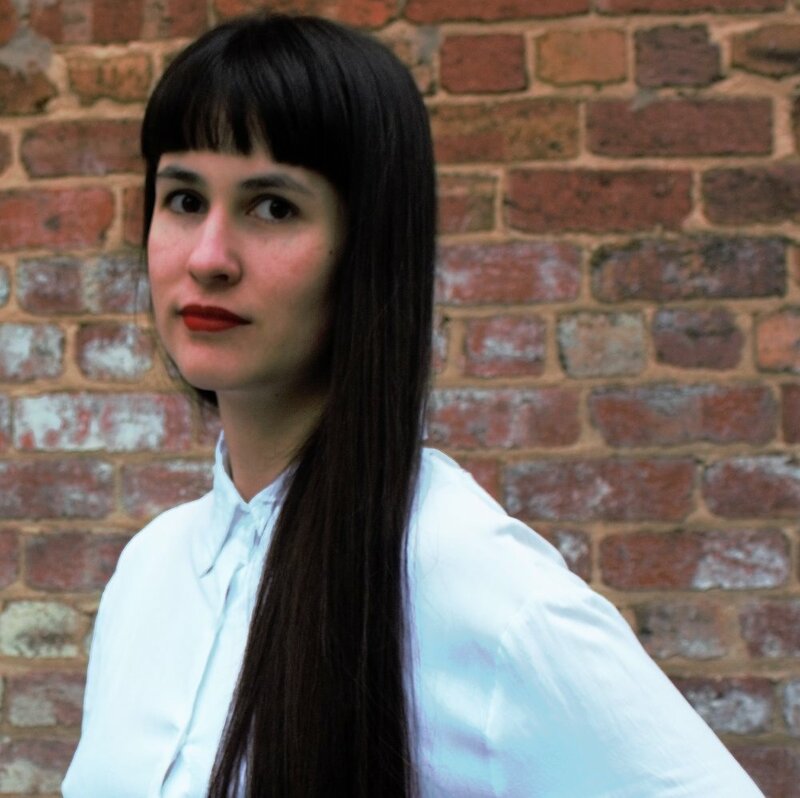 Katya de Becerra was born in Russia, immigrated to Australia in 2006, and now lives in Melbourne, where she writes young adult fiction set in some peculiar place with a mercurial atmosphere where strange things go bump in the night. What The Woods Keep is her debut novel. Elizabeth Flux is an award-winning writer and editor whose fiction and nonfiction work has been widely published. She is a judge for the 2019 Award for an Unpublished Manuscript for the Victorian Premier’s Literary Awards and is a past recipient of a Wheeler Centre Hot Desk Fellowship. Dr. Dan Golding is a Senior Lecturer in Media and Communication at Swinburne University and the co-host of What Is Music for ABC iView and Triple J. He is an award-winning writer with over 200 publications (ABC Arts, Crikey, Buzzfeed, Meanjin, Kotaku), and a video essayist with 1 million views on YouTube. He co-wrote Game Changers (Affirm Press, 2016), made the soundtracks to Push Me Pull You (PS4, 2016), and The Haunted Island (PC, 2018) and from 2014-2017 was director of the Freeplay Independent Games Festival. His new book, Star Wars After Lucas, will be published in 2019. Amie Kaufman is a New York Times and internationally bestselling author of science fiction and fantasy. Her multi-award winning work has taken out the Gold Inky, Prime Minister's Literary Award, multiple Aurealis Awards and an ABIA, has been published in 30 countries, and is in development for film and TV. Will Kostakis is a writer of all things, from celebrity news stories that score cease and desist letters, to tweets for professional wrestlers. He’s best known for his award-winning YA novels, The Sidekicks and The First Third. His first fantasy novel series Monuments begins in spring 2019. Jay Kristoff is a #1 international, New York Times and USA Today bestselling author of LIFEL1K3, THE NEVERNIGHT CHRONICLE and THE ILLUMINAE FILES. He is the winner of five Aurealis Awards, an ABIA, has over half a million books in print and is published in over thirty five countries, most of which he has never visited. He is as surprised about all of this as you are. He is 6’7 and has approximately 12,000 days to live. Ian Laking is a Kiwi author who lives in Melbourne, Australia, where he writes steampunk fantasy stories for young adults and children, including the Inspector Ambrose mystery series. Ian is passionate about inspiring young writers to take their first steps into the wider world of literature, and heads up communications and other bits and bobs around Speculate. Andrew McDonald is a children's author from Melbourne, Australia. He is the author of the Real Pigeons series, which is illustrated by Ben Wood and features a squad of crime-fighting pigeons protecting the city. Andrew is also the author of two children's novels,The Greatest Blogger in the World and Son of Death. Ben McKenzie is a performer, writer and game designer known for sci-fi audio comedy Night Terrace, VR game Table of Tales: The Crooked Crown, and podcasts Pratchat (a Terry Pratchett book club) and re:Discovery (a Star Trek recapper). His favourite dinosaur is Stegosaurus. He tweets at @McKenzie_Ben. Catherine S. McMullen is a screenwriter for film, TV and VR. Her script The Other Lamb (2017 Black List) has been optioned by Rumble Films (Drive, Whiplash), and her work has won or been nominated for multiple national and international screenwriting awards, including winning the International Emmys’ Ustinov Award. Joel Martin is the Festival Director of Speculate, as well as a fantasy writer and freelance editor. Joel is based in Melbourne but originally hails from Wanganui, New Zealand. Along with traditional fiction, Joel dabbles in the unusual world of video game writing. He specialises in fantasy, and his love of the genre spans from sword and sorcery to epic fantasy and he is currently working on a weird fiction novel. He is the host of the monthly literary podcast The Morning Bell. Author of The Asking Game and The Art of Navigation, Rose Michael has been published most recently in Sydney Review of Books, Meanjin, Overland, The Conversation and Going Down Swinging #39. Michael Pryor writes fantasy and science fiction, mostly for teenagers. He has published more than thirty-five novels and 50 something short stories. He is one of the co-publishers of Aurealis, Australia’s longest running Fantasy and SF magazine. He has been shortlisted for the Aurealis Award nine times, and eight of his books have been CBCA Notable books. Astrid Scholte is a Melbourne-based YA author with a passion for science fiction, fantasy and everything in between. Her books are a little dark, a bit twisty and a whole lot of fun. Her debut YA fantasy, FOUR DEAD QUEENS, is out on March 4th 2019 with Allen & Unwin. Deanne is a freelance writer and editor who has a Masters in Writing, Editing, and Publishing and worked for several years in bookselling. She is Program Officer at Writers Victoria, Co-Manager of the National Young Writers' Festival, and former Reviews Editor of Aurealis magazine. Mark Smith lives on Victoria’s Surf Coast. His debut novel, The Road To Winter, was published in 2016. The sequel, Wilder Country, won the 2018 Australian Indie Book Award for YA. Mark is also an award winning writer of short fiction, with credits including the 2015 Josephine Ulrick Literature Prize and the 2013 Alan Marshall Short Story Prize, and his work has appeared in Best Australian Stories, Review of Australian Fiction, The Big Issue, The Victorian Writer and The Australian. Kate Whitfield has been an editor for over twenty years; for the last five, she’s been in-house at Allen and Unwin, editing award-winning children’s and young adult fiction. Her short stories have been published in numerous Australian journals and she has received a Creative Victoria grant for her middle grade novel in progress. She lives in Melbourne.